My goodness it has been way too long since I have written anything. Spring/Summer is a very busy time of year. 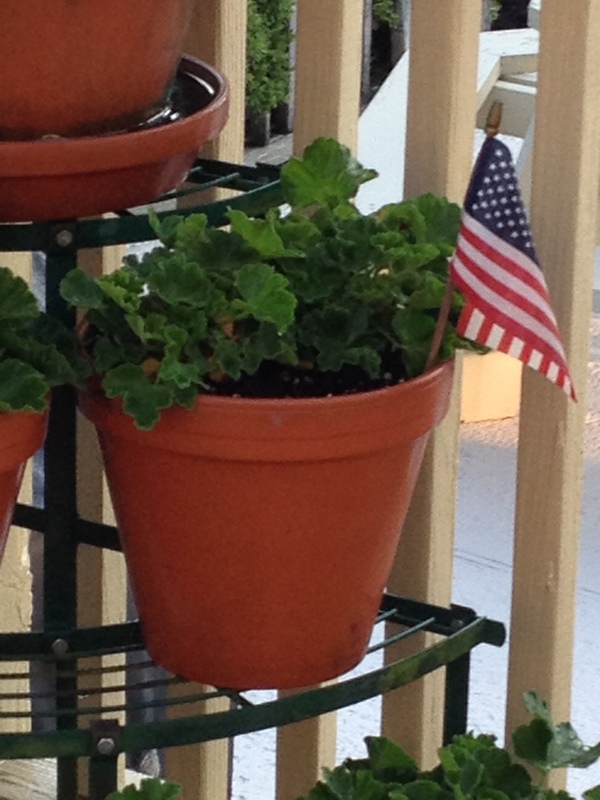 Gardens to plant, pools to open, beaches to walk on, Fourth of July parties to plan for. Every year we have a family reunion on the 4th of July. All of our kids and grand kids come to the house for the 4th of July week – or weekend depending upon when in the week the holiday falls. This year the fourth was on a Thursday. By Wednesday evening everyone who was going to make it was here. Let the parties begin…. We eat, drink and be merry for the weekend and it is a wonderful family memory making time. I was up early on the fourth. 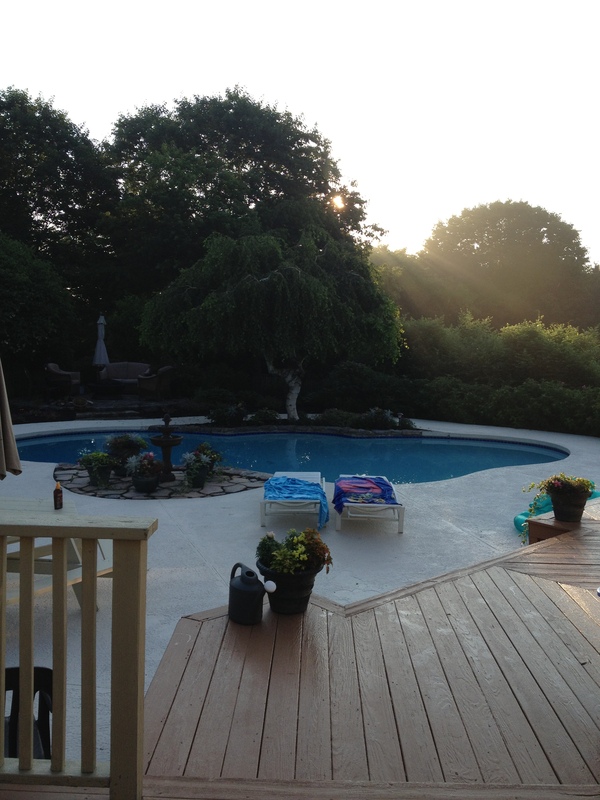 These are some pictures of my backyard at about 5:45 the morning of the fourth. We are so blessed to live in such a beautiful setting. 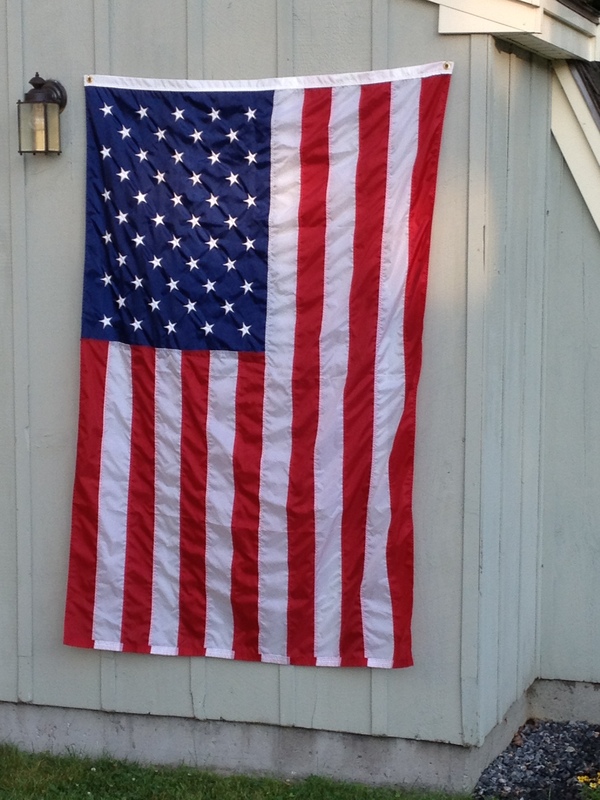 I love the American Flag and I fly it proudly and thank those who have sacrificed for our freedoms. 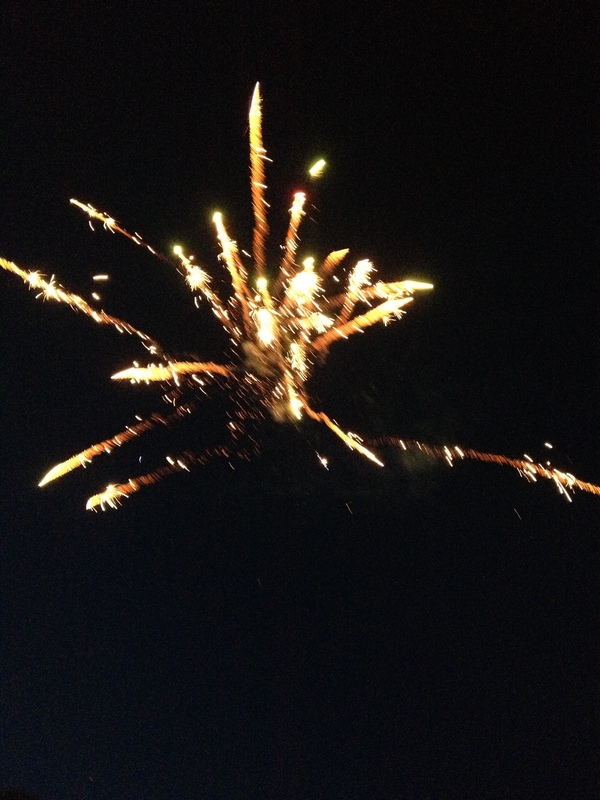 We had some fireworks in the yard. The neighbors enjoy them also. We have had so much rain this year that thankfully we didn’t need to worry about any fire dangers. I love that we make wonderful memories with our family every summer. We laugh, play games, and tease each other. Love and fun are the main themes of the weekend. Walks on the beach, swims in the pool, and lots and lots of great food. We are all back to our normal (or not so normal) lives now and basking in the memories of a fabulous weekend together. Next post will be back to quilting – I have been working on a lot of wonderful things but some of them have been gifts so they have to be kept under wraps.